For months I’ve been reading about something called “pregnancy brain.” Basically forgetfulness, feeling like it’s hard to focus, just feeling a little “off.” I scoffed at it. That wouldn’t be me! I have super focus! Well…somewhere around the beginning of the 3rd Trimester I think I got it. I first noticed it when I was trying to read my books. I just could not focus on what I was reading. If a book didn’t catch my attention immediately and was fast-paced I lost interest, couldn’t focus…I tried slogging through several books (some of which I had been wanting to read for awhile) and I kept thinking “god this book is garbage!” I just couldn’t get into ANYTHING. Long ago I realized there was no reason to force yourself to read a book that you couldn’t get in to. I used to. But then I realized, not every book is perfect for every person and sometimes books just don’t speak to you. That’s ok. There are so many books in the world, waiting to be read, why waste time on something you hate? (Ahem…Twilight, Not That Kind of Girl, Silas Marner, Where’d You Go, Bernadette, The Paris Wife, The Goldfinch, The Help <–just to name a few I HATED and couldn’t finish). It doesn’t matter if it’s a “popular” book. That doesn’t necessarily mean it’s good (50 Shades of Gray comes to mind, another one I skipped). So anyhoo….I went through a dry spell for a few weeks where I started about half a dozen books, got anywhere from 20-40% through them and then had to quit. The books here were not ones I quit! Book #8 in the series. It was a departure from the other books. This time it did not take place in Three Pines and the usual cast of characters wasn’t involved. 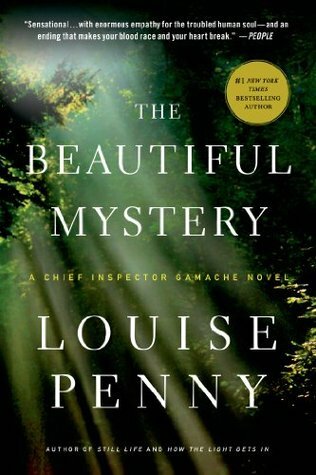 Instead, CI Gamache and Jean-Guy Beauvoir are sent to a remote island in the middle of the Quebec wilderness to investigate a murder at the Saint-Gilbert-Entre-les-Loups monastery. The monks have taken a vow of silence except for the Gregorian chants they sing. The vow has been lifted and Gamache and Beauvoir are locked into the monastery to do their investigation. Perusing the reviews it seemed like a lot of people didn’t like the book, partly because it was a way different book than the rest of the series. I didn’t have that issue. I enjoyed that it was different and I was super fascinated by the monastery and their investigation. I felt like the book was another strong one in the series and I liked it a lot! Book #4 in the Amish series. This is another book that takes a departure from the usual story in the series. 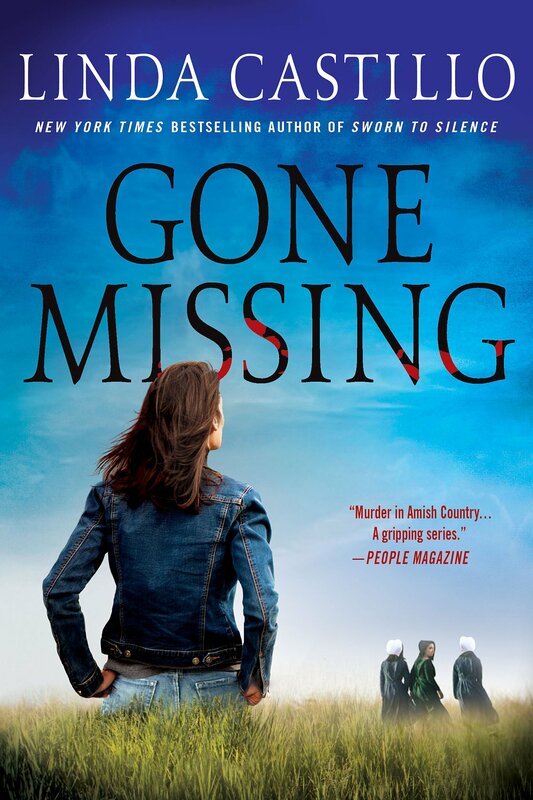 This time Kate is asked to assist the state investigators with a series of missing persons cases around Ohio, instead of investigating something in her town. She’s asked because she used to be Amish and all the missing girls are Amish, many going through Rumspringa, the time that Amish teens are able to experience the “Real World” outside of the Amish one and decide whether or not they want to be baptized into the Amish life. The book was really good but it felt like it was on the shorter side. Other than that it wrapped up nicely and I was satisfied with the ending. I almost didn’t finish this book and when I did I was reluctant to include it here as a recommendation. These book posts are generally books I *really* liked and wanted to pass on to you guys. I don’t include a lot of books that I read that are “just ok” or nothing special. This book, however, I was on the fence about. It’s about Annie, a 30-something realtor who is abducted and held captive for a year in a remote cabin in Canada. The Freak, as she calls him, abuses her in every imaginable way for that year. The book is partly about that and partly about the “After”–when she’s trying to heal and move on. The reason I’m on the fence about it? I almost couldn’t read the first 1/2 of the story. It was brutal, disturbing, VERY GRAPHIC with the abuse and just so dark I wanted to quit reading it. I read a lot of “dark” books and usually they don’t bother me but this one did. A lot. I told myself I’d read one more chapter and then I’d give up and (I guess thankfully??) the book got much better and took a turn for the positive and the ending was really, really good. It was worth reading the whole thing, even if it made me really uncomfortable in the beginning. But be warned, it is NOT for the faint of heart. This book was written by a cochlear implant surgeon at University of Chicago Medical School and it’s about how crucial early communication is for a child’s growth. She founded the Thirty Million Words Initiative and the book tells parents to follow the three Ts: Tune in to what your child is doing; Talk more to your child using lots of descriptive words; and Take turns with your child as you engage in conversation. The book is a little slow to get into and I almost gave up but a few chapters in it finally got to the “Goods” of it and I enjoyed a lot of the examples and suggestions it gave for communicating with your babies–starting at birth! I really liked the chapter on how beneficial reading is, even if the baby is a newborn and not understanding it all yet! The book was insightful and interesting. I really liked this book and found it both interesting and horrifying. It made me grateful that I’m not in the current dating market. When I met my husband it was the cusp of this “online” world and while we met online (we were just friends) we eventually met in person and THEN the friendship turned into something else. But before that, I dabbled in the online dating world and it was rough. This book kind of took me back to that time where you feel like you’ll never meet anyone because you’re just not meeting quality people. Lots of duplicity, stress, not feeling connections, meeting people who are just looking for a hook up and can’t even have an intelligent conversation….yuck. I do not envy the younger generation that is growing up in this world. This book is co-written by a sociologist and it’s much more of a sociology book than a comedy book. So if you see Aziz Ansari’s name and think it will be a laugh riot, it’s not. Yes, it’s funny and I chuckled many times, but it’s more about the study of modern romance and dating in the technological world. So be prepared. Sad. Remember back in the day before cell phones when you had to call someone you liked and they may or may not have caller ID, or an answering machine, and you’d have to leave a message and hope they call you back…so much was unknown! Now? With cell phones you can tell if the person received your text and is just choosing not to respond. Basically, MEET someone online and stop with the online “relationship” and back and forth, meet in person and have an actual conversation. People are spending way too much time chatting back and forth, then things fizzle out and you never actually meet them. He gave a few different, good, examples of this. The book talks about how different relationships, meeting people and getting married are now compared to even one generation ago. Basically people in our parent’s generation met someone who lived in their neighborhood, got married really young, and that was it. Nowadays there’s a time period where people in their 20’s are living in an “emerging adulthood” limbo where they are dating around, traveling, working, meeting people, and not getting married young. I really enjoyed this book. It was pretty basic but it had some good ideas, and some things I hadn’t even thought of either. I liked the creativity of different parents in their quest to teach their young children (and teens!) how to be smart about money. Teaching kids how to save money, to learn when to spend it and how to track it is the focus of the book. He suggested getting three clear plastic containers (so the kids have the visual of the money in each jar) instead of a piggy bank, and label them Spend, Give and Save. The Spend container holds money for the impulse buys. The “fun” stuff kids wants when you are out and about. The Save jar is self-explanatory. The Give jar is for teaching kids the importance of giving to people who need it. He emphasizes having the kids research where to give so that they pick something they can feel passionate about and he shared some great stories of different kids who took up causes that were important to them. I loved this concept and it was pretty basic and easy for a first budget. Any kid could understand the three jars and it teaches them values AND how to save money. The author then talked about a financial planner who would “pay interest on the money their kids save and that which they set aside for charity. The interest starts off quite generous–anything under $50 earns 50% each month [pg 50]” and then the interest “schedule” went down. I never had an allowance as a kid. My parents definitely taught me the value of a dollar and they were both pretty conservative with money, which I turn became as well. But since I didn’t have an allowance, I ended up starting to babysit when I was 9 years old. Pretty young. But I was responsible for my age and once I started babysitting I pretty much always had a job. When I turned 16 my parents gave me the old family car but I had to pay for my gas and insurance–which meant I needed a real job to pay for that. At the time I probably felt a little jealous of friends whose parents paid for everything but I wouldn’t change it at all because it definitely taught me to be self-sufficient, always be able to take care of myself and pay my own bills, and it taught me to value money. I think it was an important lesson that made me who I am today and I plan on doing the same with my kids. I liked the book a lot and it gave me a lot of good ideas for our kids! I was getting worried that these books would start to feel repetitive with the story line always being something that happened with the Amish–but this book took a different route in the story and it was done well. I liked the mystery and I was left guessing until the end. It was really well-rounded as a story and I enjoyed it. 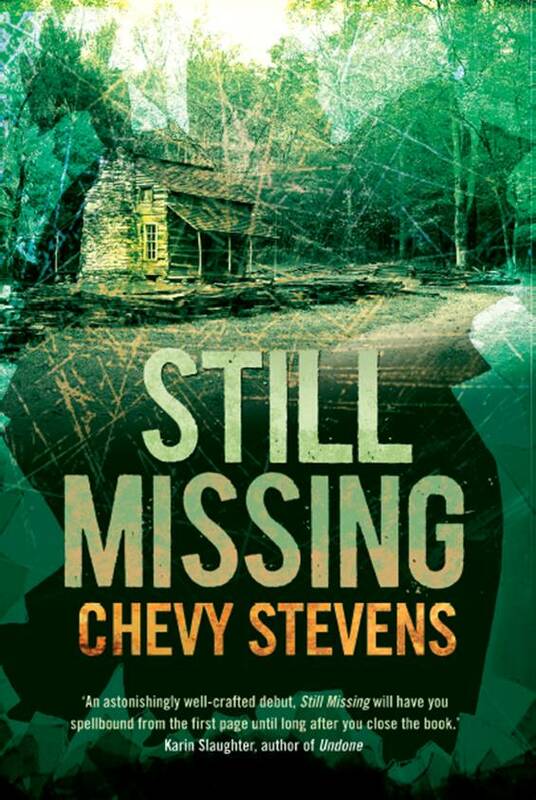 In this book some local townsfolk are being brutally murdered and it turns out that they are paying for a crime they committed years ago and kept secret all this time. I also wanted to mention that I discovered over the weekend “An Amish Murder” on Netflix–based on the first book in this series. Neve Campbell stars Kate Burkholder and it was pretty well done, even if I didn’t think some of the other casting worked well. But I wanted to pass it on in case you wanted to watch it! Ooh, I think I will be snagging a copy of The Opposite of Spoiled. It looks interesting and money management skills are so important to teach. I never had pregnancy brain, so the post-birth mom brain where I couldn’t remember ANYTHING was a horrible reality that I was not ready for! It was good. It had a lot of great ideas. It sounds like it! I just read Brain Rules for Baby by John Medina. I found that one interesting as well. It was horrible. Eric would tell me to remember something and I’ve have forgotten it within five minutes. Thanks for the recommendation. I’m seeing if my library has it now! Oh yes. I have that. Totally spacey, forgetful…it’s hard! I haven’t seen it but I think someone else was telling me to watch it too. I’ll do that next!